The Samsung Galaxy On7 Prime is a new pocket-friendly offering from the South-Korean Android smartphone manufacturer. The price of Samsung Galaxy On7 Prime price in India begins from INR. 16,999 and is due to be launched in January 2018. The Samsung Galaxy On7 Prime is sold in various colour choices such as Gold and Black which are as well priced similarly. Like other Android smartphones falling under the same price tag, the Galaxy On7 Prime boasts of a 13 Megapixel front shooter and a 13 Megapixel primary sensor to support photographing, videos, self-portraits, and video telephony. So the handset can comprehensively address the expectations of the camera-crazy population. Users can use the Galaxy On7 Prime to record in the dark, thanks to an LED flash at the rear. As far as display is concerned, the Galaxy On7 Prime sports a 5.5-inch Full HD display which uses TFT technology. The display is bright and reproduces amazing images. The large screen is combined with nice viewing angles and is suitable for indulging in games or replaying videos. The handset sports the regular galaxy design with a home button in the front which as well functions as a fingerprint scanner. This allows users unlock the handset within few seconds. Also available is a brushed metal finish topped with curved corners for optimal viewing and convenient single-handed use. The Samsung Galaxy On7 Prime is armed with a default storage space of 32GB. This can be upgraded further up to 256GB using a microSD card. This allows you store media files, apps, and all your data. One of the critical aspects of the Galaxy On7 Prime is that it features a dedicated microSD card slot. You need not have to choose between a SIM card and a microSD card which is the case with Android smartphones that come with Hybrid SIM slots. When it comes to power, the smartphone features a non-removable Li-ion 3300mAh battery. According to the company, this can easily last for around 12 hours. The Galaxy On7 Prime is a high-end smartphone which comes with a lot of robust functions. It performs well when multitasking and delivers a monstrous storage to improve your entertainment activities. You can snap high-resolution pictures and shoot Full-HD videos with the splendid pair of cameras. To conclude, if you are scouting for a powerful mid-category device then you can buy the Samsung Galaxy On7 Prime. 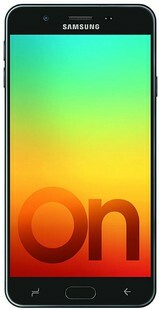 Samsung Galaxy On7 Prime full specs and reviews as of Apr 2019. Buy it here!